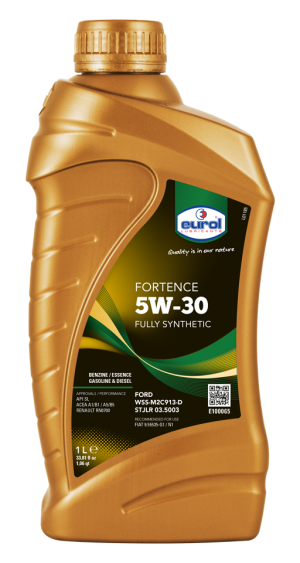 Eurol Sportbike 5W-50 Full Synthetic is a fully synthetic engine oil and contains a dedicated ester technology to provide extra protection against wear, deposits, sludge and oxidation under all conditions. This oil can also be used in motorcycle transmissions where an API SF, SG, SH, SJ or SL oil is prescribed. Eurol Sportbike 5W-50 Full Synthetic is suitable for touring, racing, as well as for cross applications, under all conditions. 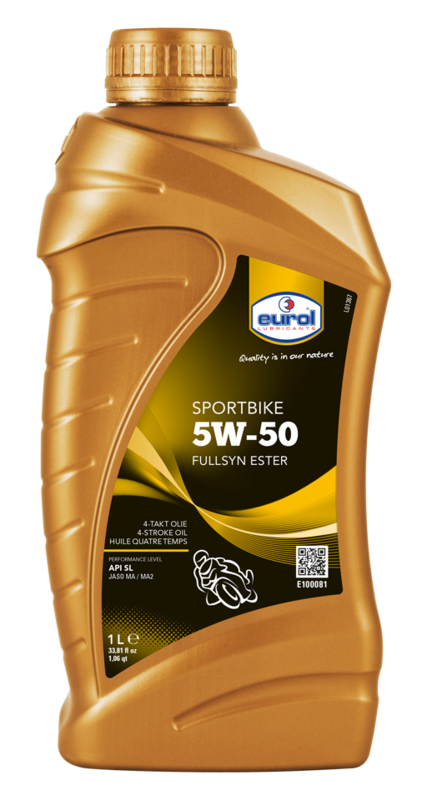 Eurol Sportbike 5W-50 Full Synthetic offers an excellent protection against wear, deposits, sludge and oxidation. Even under the most severe operating conditions air-absorption and foam building are minimised. Eurol Sportbike 5W-50 Full Synthetic has a very low volatility by which oil thickening and oil consumption are reduced to a minimum. Due to the special formulation, this oil offers excellent protection to gearboxes and wet disc clutches.